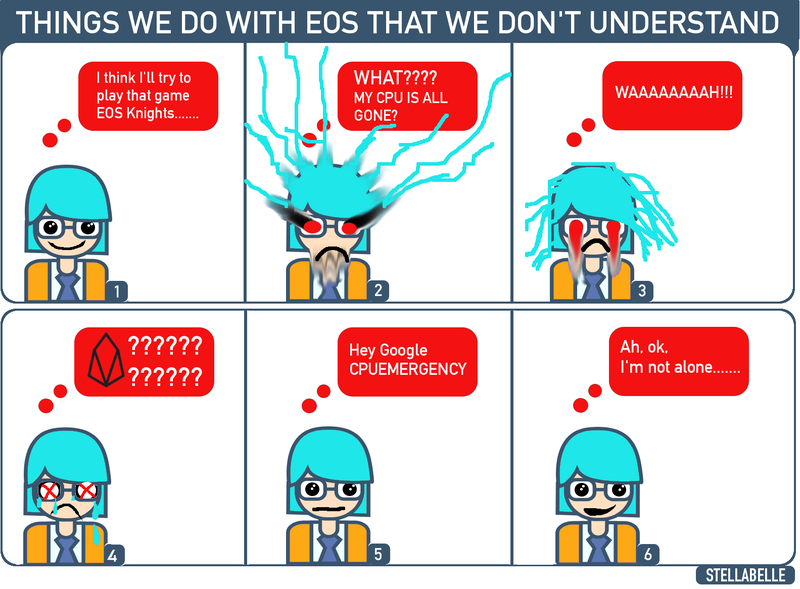 It was then I realized I needed to write a WHAT IS EOS? article for this series. EOS is a cryptocurrency and EOSIO is open-source software. EOS is currently the 6th largest cryptocurrency by market cap. It’s current price is $5.40. It is much more than just a cryptocurrency and software because EOS contains a governance aspect and is built for smart contracts and dApps. Smart contracts are peer-to-peer contracts that don’t need to involve lawyers and trust. Essentially, smart contracts are the future because they are cheaper, more reliable, take less time and are more efficient. What Can I do on EOS as a User? On EOS, you can play games, lend out your EOS to earn interest, do good work for society & earn Karma tokens, contribute to Everipedia (like Wikipedia) & earn IQ tokens, gamble (I take no responsibility for this) and a lot of other dApps are developing quickly every day. If you’re into selling/trading in-game virtual goods, you can do that on wax.io, which uses a customized form of EOS. EOS is similar to an incentivized computer operating system. EOS is different from other cryptocurrencies because it uses an ownership model not a pay-little-fees as you go model. And because EOS contains a governance aspect, this means that people who own EOS tokens can vote for changes in the network. EOS is very energy efficient because it uses the Delegated Proof of Stake model. Read here to get a simple explanation of DPOS. In Ethereum, you pay little gas fees to do everything, and you don’t get those fees back. In EOS, you stake your tokens, which then gives you computing resources to use the network, but later if you want to quit using EOS, you unstake your tokens, and you get your money back. There’s a bit more involved with RAM, but for now, let’s deal with the simplest aspects. This means that you need to stake some EOS tokens in order to use the network, so while it’s not exactly free, it’s more like investing in a safe asset that you can easily get back. It’s kind of like putting a quarter into a shopping cart at Aldi’s, then when you’re done using the cart, you get your quarter back. What do you mean ‘stake some EOS tokens’ ? Stake means you park your EOS and in exchange, you get computing resources, and can vote, too. When you want to unstake your tokens, it takes three days for your tokens to appear back in your account. One reason this takes three days is for safety. The reason EOS is so hard for people to understand is because the ownership model is completely different from a fee-centric world. We are used to thinking in terms of being charged little fees for doing everything. Fees have not completely disappeared in EOS, but the main model of EOS is ownership. Why does EOS have an ownership model? One reason EOS has an ownership model is because the owners of staked EOS tokens are the ones who vote on who they want to run the computer network. And the people or groups of people who are voted in, are paid to run the network. The idea is that the people who have more skin in the game will vote for the best people to run the network. Being an owner feels different than being only a user. The ownership model makes people think more deeply about how to create value for the network. Being a co-owner of a giant computing system is a futuristic concept and one that is strange to our corporation-centric economic model in which users, owners, employees and shareholders have different value systems. Companies still exist within EOS, but the tokenized structure of EOS allows everyone (users, developers, employees, companies) in the network to have one shared incentive: make the value of EOS go up. Everyone’s incentives are pretty much aligned. Now, because it’s not a perfect world, the problem arises when people try to agree on the best course to take. So, if companies exist on EOS, how is EOS different than the current corporate model of shareholders, owners, company employees and users? Tokenized economies change the game completely. When users buy or earn EOS tokens, they instinctively want their newly acquired token to go up in value. When employees earn EOS, they want the value to increase. Investors in EOS also want the value of EOS to go up. Developers want this same thing, too. In fact, anyone who has any amount of EOS wants the value to go up. As a collective, and as individuals, this shared incentive makes people work harder to make EOS more valuable. Anyone can contribute to EOS in order to make it and the network have greater value. Now, let’s compare this to a company like Uber. There is no relationship between the money they earn and the Uber company, for they do not earn Uber tokens, they earn US dollars. Drivers are not co-owners of Uber, they are only workers who have no shares in Uber. Because they are not co-owners, they don’t have the same incentives as shareholders. In fact the value system of the drivers is diametrically opposed to that of the shareholders. The drivers want to be paid more while the investors want the drivers to be paid less. There is a fundamental misalignment of values and incentives among the drivers, users, shareholders and employees. This is why Uber would like to get rid of their drivers altogether by replacing them with self-driving cars. Uber views their drivers as a negative expense not a positive commodity. Crypto societies like EOS align the incentives of all who hold the EOS token. While competition still exists (especially for Block Producers), collaboration is extremely common because everyone knows that combining forces yields better results than working in silos. 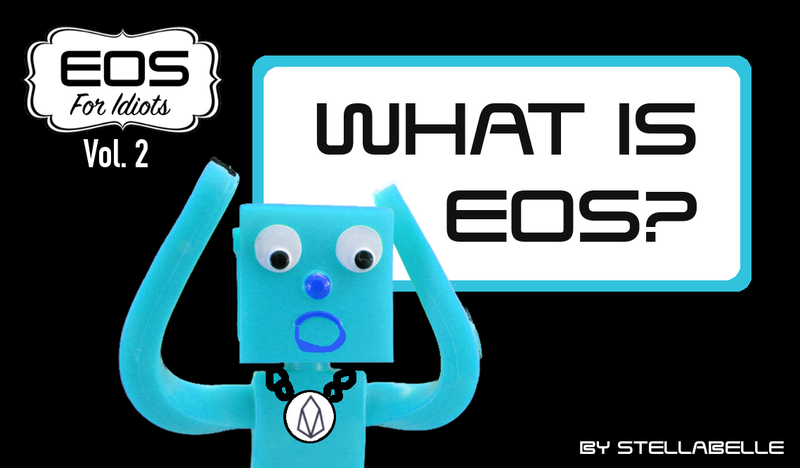 Stay tuned for the next article in this series, What Exactly Do EOS Block Producers Do? to learn more about BPs (Block Producers). If you have a topic that you would like explained, please add a comment below. GenerEOS is a social enterprise block producing candidate with a mission of promoting and supporting scalable and highly reliable block production whilst giving back block rewards to Social Causes. Based out of Sydney, Australia, GenerEOS is founded by a team of like-minded blockchain enthusiasts with diverse backgrounds and a passion to make a difference in the world and fostering the spirit of generosity by giving back. Subscribe to the GenerEOS Medium publication to read more in the EOS FOR IDIOTS series and keep updated on everything EOS.